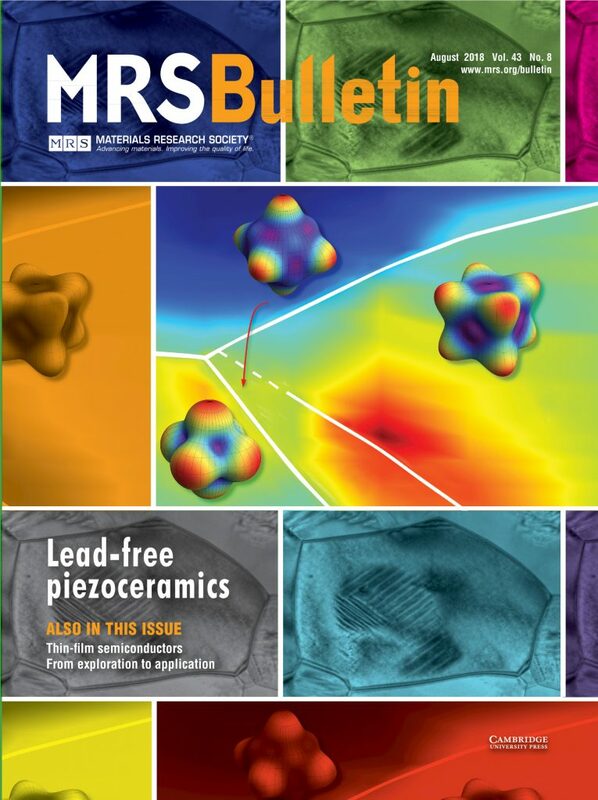 Xiaoli Tan, professor of materials science and engineering, produced the transmission electron microscopy (TEM) image of a lead-free peizoceramics on the cover of the August 2018 issue of MRS Bulletin. A review article co-authored by Tan also appears on page 600-606 of the issue. Tan is a national expert in both TEM techniques and lead-free piezoelectric ceramics, using the highly-sensitive microscopy to reveal nanoscale material structures. According to MRS Bulletin cover caption, lead-free piezoceramics research has ramped up since legislation in Europe and elsewhere restricted the use of lead in these materials, which convert mechanical energy into electrical energy or vice versa. Tan’s image shows the core-shell domain structure of one type of lead-free ceramics: BaTiO3 doped with Bi and Li.